THOMPSONVILLE – It was not a pretty start, with the Tigers up 23-16 at halftime, but T’ville outscored Shawnee 50-29 in the second half to pick up a 73-45 win. “It took us a while to get going. We are going to have to play better in future games than we did in the first half.” The Tiger coach Pete Gordon said after tonight’s win. Anthony Darge led the Tigers with 20 points tonight 18 in the second half. Corbin Fitch added 18. All ten Tigers that saw action got in the scoring column. Trenton Matlock tied Darge with a game high 20 for the Redskins and Austin Warren added 14. Thompsonville improves to 9-7 on the season. They will face Agape Christian from Marion, at 2:00 p.m. in the Martin Luther King Shootout at Meridian, weather permitting on Saturday. Shawnee falls to 0-7 on the season. They also face Agape in their next game on January 16th. With Thompsonville having a non-conference game tonight, and Gallatin County idle, the scores from all three games in the GEC were shockers. Crab Orchard beat Carrier Mills 74-60, in a game that was a lot tighter than I expected. 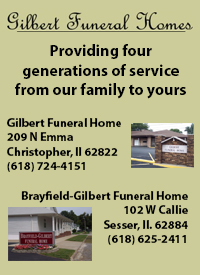 Galatia upset Hardin County 57-48, and NCOE upset Pope County 55-40. The conference tournament coming up in a couple weeks will be interesting. It sounds like there will be a lot of upsets that week. Thanks to Jack Bullock for letting me link this. I was able to sit back and watch two long time rivals get together last night. When you think Illinois, the first thing that usually appears in people’s minds is “The Windy City” of Chicago. But, there’s a lot more to the Land of Lincoln than simply the third-largest city in the United States. 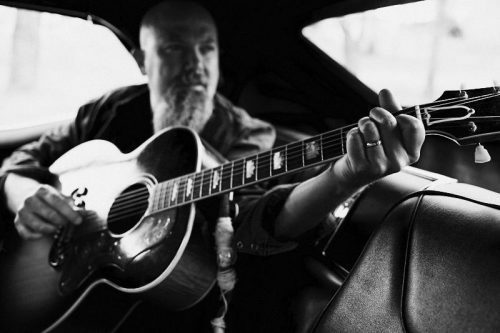 Just ask singer-songwriter Kendell Marvel, who hails from the southeastern portion of the state — where there is nary a skyscraper in sight. “It’s interesting,” Marvel admitted to Billboard. “When I say Illinois, people think Chicago. I grew up about 30 miles from Paducah, Kentucky — about three hours from Nashville. It’s pretty country up there, very much agricultural-based and a lot of coal mines. It’s a hotspot for country music lovers up there.” And, there was certainly plenty that influenced him — from Waylon and Willie to Southern rock sounds such as Lynyrd Skynyrd and The Allman Brothers Band. 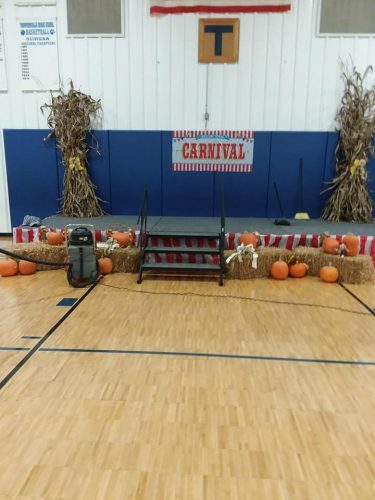 THOMPSONVILLE, IL – In a tradition that goes back, and don’t quote me on this, but since TCHS was established as a four year high school in the early 40’s this has been an annual Thompsonville tradition. Times have changed and the events have, but the carnival is still going strong. When I was in school it was one of the highlights of the school year. Other than short co-ops with West Frankfort and Johnston City, the Tigers have not fielded a football team. Homecoming is during the basketball season, and this was like a second event. Chili Supper 4:30 to 6:30 p.m.
Carnival Games 6:00 to 8:00 p.m.
Cake Walk 6:00 to 8:00 p.m.
Collection of votes for King and Queen 8:00 p.m.
On this cold, rainy night, even if you are not from Thompsonville, make the short drive over there for a great time. MT. VERNON, IL – The future of local law enforcement and some of their most ardent supporters gathered in Mt. Vernon this week for the sixth annual Rend Lake College Criminal Justice Program’s Roundup for Scholarships event. 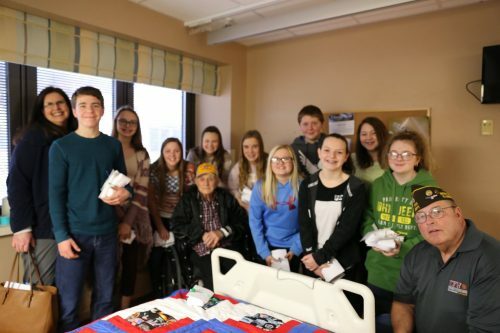 Every year, the fundraiser brings in approximately $3,000 – enough for at least six students to receive financial help for classes in the criminal justice program. This year, the six students who received those scholarships were on hand to meet with members of local law enforcement who took the opportunity to share words of wisdom and encouragement. 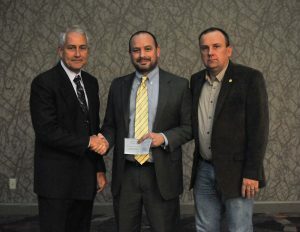 Jefferson County State’s Attorney Sean Featherstun started the event off with a bang when he presented the criminal justice scholarship fund with a $1,000 donation out of the State’s Attorney’s Drug Forfeiture Fund. “We seize money from drug dealers and hold on to it until we can find something positive to do with it. So, tonight we are here to donate this money to the scholarship fund. This is our opportunity to take money from the bad guys and use it to fight against them,” said Featherstun. 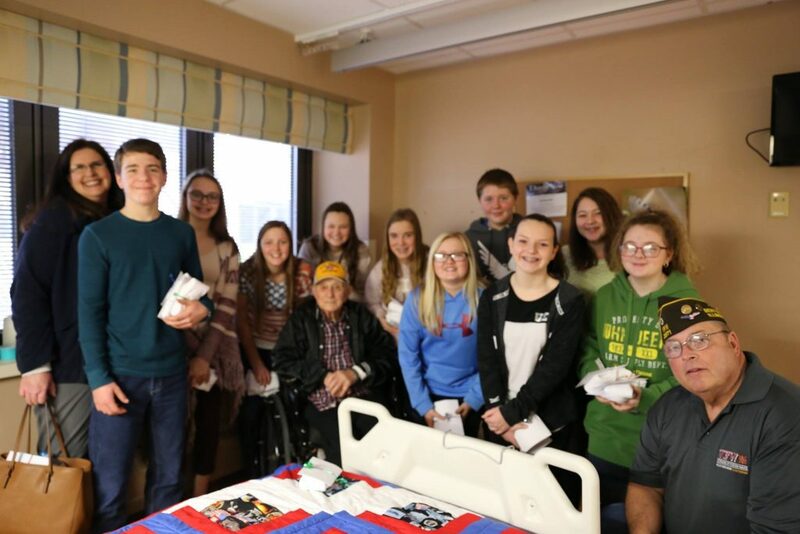 Dave Severin, State Representative for the 117th District, shared his message of gratitude and encouraged the students to remain local to help build Southern Illinois up. “You are the future of Southern Illinois. I’m so glad to be here this evening to not only congratulate you but also to challenge you to go get an education or start your own business, have a family and stay in Southern Illinois,” Severin expressed. Mt. Vernon Police Chief Chris Deichman echoed those thoughts. “I would like to commend all these students on your chosen path. You’ve taken a great first step. Like Representative Severin made mention, I would challenge you as well to stay right here. Stay local. When we are recruiting, we are looking for folks who came from our local community colleges. What we have found in our department, the ones that have worked their way up and are now leaders in the department are local. So, when we are looking for new officers we like to look right here in our own back yard. Those people tend to love the community and stick around,” Deichman expressed. Deichman also told the students that they were getting started with their careers by taking advantage of Rend Lake College. The chief shared his experience of being a RLC criminal justice student and how that helped him along the path that he is on today. Jefferson County Sheriff Travis Allen, a fellow RLC criminal justice graduate, agreed wholeheartedly. “Rend Lake gave me a great base where I was able to go on to graduate school. I believe all of that is because of the college and the Foundation, providing me the support and tools I needed. We have something in our backyard that we should take advantage of, and that’s Rend Lake College. You will not find a more intelligent and better prepared man than Ron Meek,” said Allen. 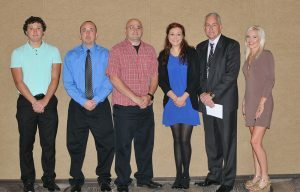 Two of the student scholarship recipients also took the opportunity to speak. Chelsey Bundy (Thompsonville) has already begun working as a full-time officer with the Sesser Police Department while continuing her education. She hopes to use this opportunity to go on and earn her bachelor’s degree in criminal justice. “I just want to thank everyone for coming tonight. It’s been an honor to receive a scholarship this year. It’s helped me out a lot. We all know college is expensive. Thank you professor Meek for being a great instructor and making class interesting and leading us all in the right direction,” Bundy stated. Fellow scholarship recipient Alan Fox (Tamaroa) had nothing but praise for the program. 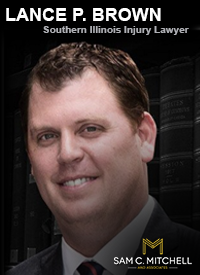 “I have personally learned more about criminal justice than I ever could have imagined over the past year and a half. Professor Meek is a great teacher. All of the teachers in the program are great and very knowledgeable,” Fox said. Rend Lake College President Terry Wilkerson and Foundation CEO Kay Zibby-Damron also took a turn at the podium to thank the students for attending RLC and to encourage them to become quality representatives of the Criminal Justice Program as well as the college. Ron Meek, Associate Professor of Criminal Justice, closed the night by thanking all the supporters of the program and making two announcements of his own. To learn more about RLC’s Criminal Justice program, visit www.rlc.edu/criminal-justice, or contact Meek at 618-437-5321, Ext. 1239 or meekr@rlc.edu. 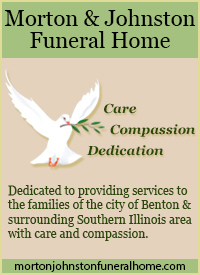 There has been a two car accident on the edge of the city limits of Benton. It is unsure whether there is any road blockage or not. There are not any major injuries. Information is given for traffic only. I request there not be any comments on social media, especially pictures of the scene until released from law enforcement agencies. UPDATE 5:45 p.m. Officers have cleared the scene. 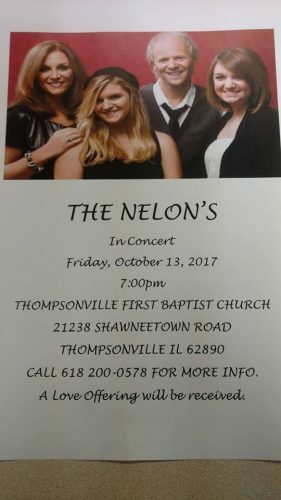 The Nelon’s will be in concert tonight at 7:00 at the First Baptist Church in Thompsonville. Promoter Andrew Cooksey over the last year has brought some of the finest names in Southern Gospel Music in the past including the Kingsmen, Gold City, The Talley’s, The Wisnant’s and the Perry’s. The Group’s motto is Faith, Family, Legacy, Vision. With tight family harmonies, timeless songs and a passion for worship, The Nelons have been captivating audiences for four decades. With a love for the old and a vision for the new, The Nelons embrace their traditional roots, all the while, bridging the generational gap by pushing musical boundaries. Their awards and accolades include three Grammy Nominations, six Dove Awards, 14 Singing News Fan Awards and a People’s Choice Silver Telly Award for the concept video “Excuse Me, Are You Jesus?” They are frequently featured on the best-selling Gaither Homecoming recordings and videos and have performed on The Grand Ole Opry, among other historic venues. 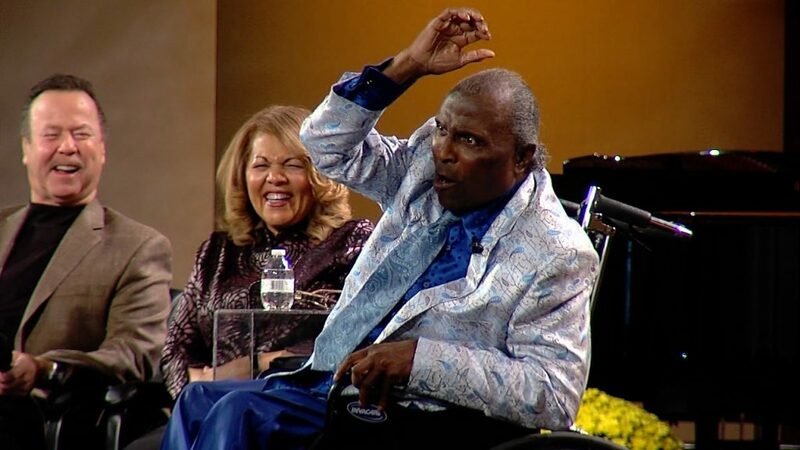 However, it’s their heart for people and uncanny gift to communicate God’s love that has helped to expand the audience for Gospel music around the world. When the Nelons are not on the road, they call Georgia home. Though whether on the road or at home, the creativity never stops… and neither does the family bond. Jason is a triple threat as a singer, songwriter and producer while Kelly is an accomplished actress of both television and film, appearing in movies like His Love Is Blind, The Cardinal Rule and Losing Faith. Amber is signed to Daywind records as a solo artist and recently released her first adult solo album Just Sing. Her powerhouse soprano vocals earned her the coveted Favorite Female Singer win at the Absolutely Gospel Music Awards. 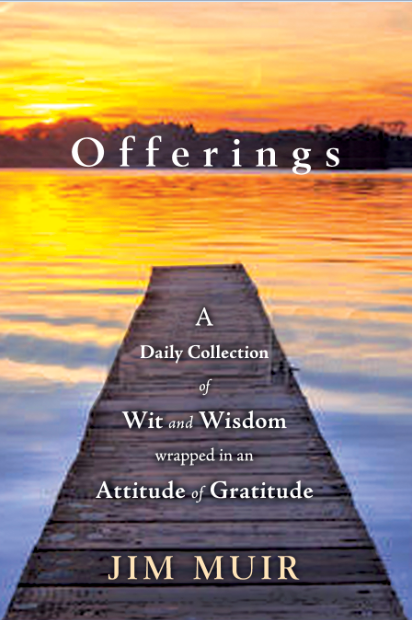 She has a Bachelor’s degree in Christian Counseling and is working on her Master’s. Autumn joined the group full-time just two years ago and has been wowing audiences ever since with her crystal clear soprano sound and musical talent on both the mandolin and banjolin. When she leaves the stage, Autumn is hard at work studying. She’s a freshman in college at Baptist College of Florida. Together as The Nelons, Jason, Kelly, Amber and Autumn are a family devoted to God, each other, and ministering the Gospel of Christ through music and the Word. The Church is located on State Route 34, one block east of the school. Admission is free, and a love offering will be taken. I encourage you to attend for a great night of Southern Gospel music. GALATIA, IL The Saline County Sheriff’s Office is looking for a man accused of trying to steal money from the Dollar General Store in Galatia, Illinois last week. Deputies say on October 5th around 10:30 p.m. a man approached two employees, demanding cash. They say the man had a small gun with a silver top and black handle, but fled the store when the alarm was activated. 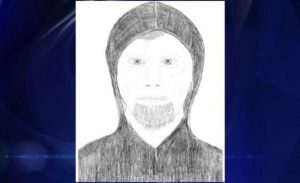 The suspect is described as a white man in his mid-to-late 20’s around 5’10” with blonde hair, blue-green eyes and facial hair. The man was wearing a dark colored hoodie and dark colored jeans. The sheriff’s office released a sketch of the suspect and anyone with information about this incident should call 618-252-8661. It was Little Richard’s first television news interview in years. The music legend has only sat down to an interview with Danny Shelton of Three Angels Broadcast Network once before sitting down with News 3 on Saturday. Known as the “Architect of Rock and Roll,” he said those days are well behind him. “Well… back at the time, you would think about how you could become bigger and bigger and make more money,” Little Richard said.